On June 29 the world will celebrate the end of the “Age of Coal”. A global day of action will coincide with 350.org‘s Global Power Shift Conference in Istanbul. Greenpeace International has put together a great website for the day of action: www.endtheageofcoal.org. EJOLT is supporting and endorsing this global coalition and EJOLT partners are active on the ground. CDCA will participate in events in Italy, in a city heavily impacted by a coal power plant, 80km North from Rome. FOCUS will participate in Slovenia and BOG University in Turkey. Many EJOLT collaborators in other parts of the world will participate as individuals. Although Obama did not go as far as climate science shows he needs to go, his speech on Tuesday did help in keeping hope for real action on climate change alive. The time for people all over the world to show their support for far reaching action is excellent. The Global Day of Action is an opportunity for all to show the strength of the global movement to end the age of coal by organizing fun actions and publicizing our issues. As many people and organizations as possible should get involved in whatever ways they can. If you forgot why this is so important, just type coal in the search function of EJOLTs website or go straight to our latest report. – PUT YOUR COAL FIGHT ON THE INTERACTIVE MAP ON THE WEBSITE:What are the fights that people can be engaged in – prevent a new coal plant, or new mine expansions that are currently being fought. Upload your current fights that you want people to support on the map – info needed is: location, brief description (<100 words), link to your current petition /website. 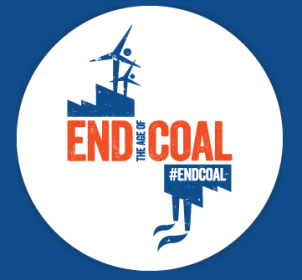 – JOIN THE #ENDCOAL “TWITTER PARADE” ON JUNE 29, in support of the actions taking place across the globe, and share content from events happening around the world. Please get involved in whatever ways you can to demonstrate why we must end the age of coal. I am no longer certain the place you’re getting your information, however great topic. I needs to spend a while studying more or figuring out more. Thanks for fantastic info I used to be looking for this info for my mission.